Iceland’s wintertime magic is visible everywhere you look, from the mesmerizing magenta-green ribbons of the Northern Lights decorating the sky to the vivid Viking villages populating lush moss valleys, framed by snow-capped volcanic mountains. Despite the country’s name, Iceland isn’t as cold in the winter as you might expect — especially once you don your traditional wool lopapeysa sweater. Plus, you’ll find great value at every turn: hotels, activities, car rentals — the cost for almost everything drops when the off-season rolls around in September. We’ll share our firsthand knowledge and expert insight to design your wintertime adventure in Iceland, where long starry nights and otherworldly beauty await your exploration. Winter is in fact one of the most rewarding times of year to visit Iceland. Scroll through the slides below to find out why! Receding rivers frozen in place form one of Iceland’s more delightful natural mysteries: temporary ice caves found in Vatnajökull, Europe’s largest glacier. 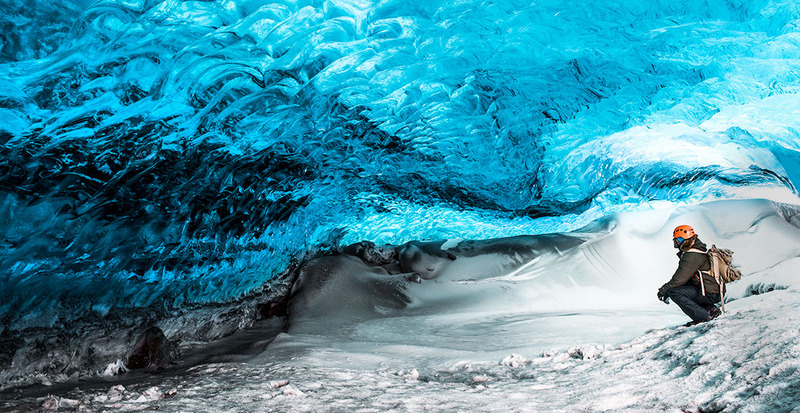 Explore what looks like the insides of cresting tidal waves frozen in place — the ice as smooth as stone and blue as a sapphire — during a tour of these glassy chambers. You’ll begin your journey from Jökulsárlón Glacier Lagoon on the edge of Vatnajökull National Park, a spectacular sight of its own with chiseled icebergs floating in the dark waters and seals lounging on the beach’s black sand. Traverse the icy surface of a glacier, led by a pack of energetic sled dogs. 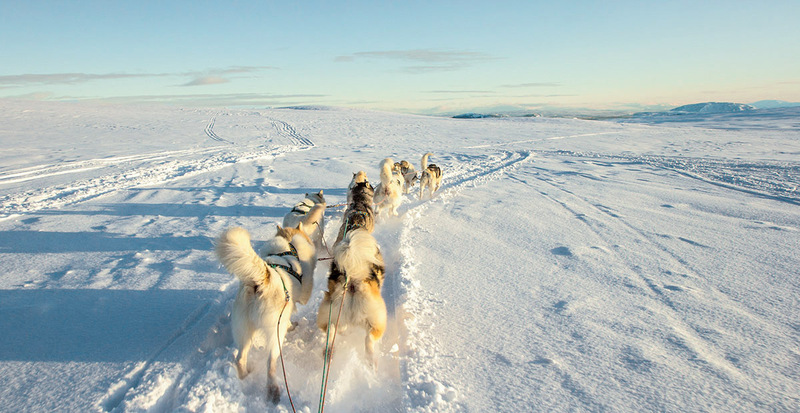 The cool winter winds rush by as eight husky-type dogs pull your sled forward with ease, reaching 15 miles per hour as you mush through the snow. These canines can run for hours on end, never reducing their pace or sneaking in breaks — though they’ll welcome belly rubs and offer sweet kisses at the end of your journey as gratitude for an exhilarating ride. 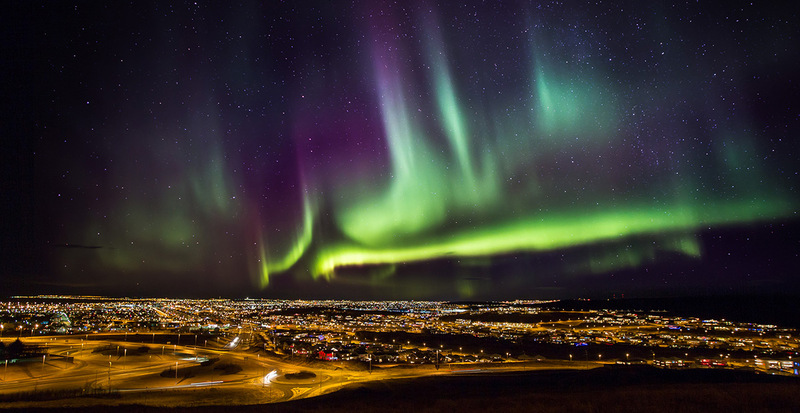 No wintertime journey to Iceland would be complete without seeking out the Northern Lights. Exclusive to the season and the northern-latitude location, these dancing green ribbons form when the sun hits charged particles in the Earth’s atmosphere to create little bursts of light that can only be seen during the darkest nights. Follow your skilled excursion leader outside city limits to find a patch of cloudless sky brightly lit with this breathtaking natural phenomenon. Where else in the world can you ski down fresh powder directly toward the mouth of a subarctic fjord flanked by giant mountain cliffs? 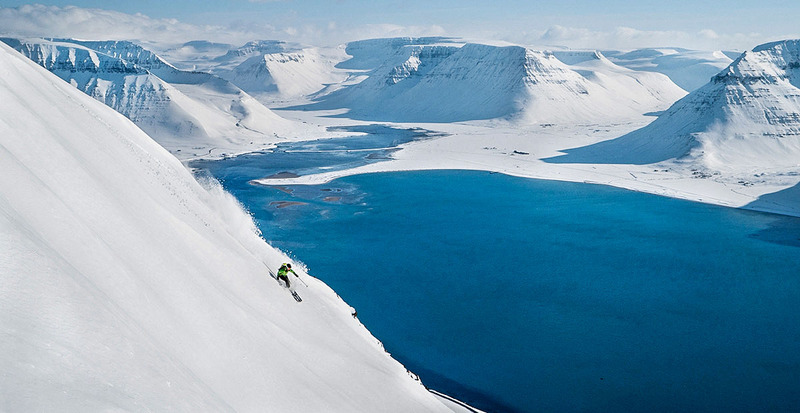 Ísafjörður, the largest city in the Westfjords region of Iceland, sits at the bottom of a massive ski slope, enticing those in want of an adrenaline rush. Catch a lift up to the top, where gorgeous views of the village and exhilarating ski runs await. Non-skiers can enjoy the surroundings, too, during a walk through town and up the slopes as a local guide shares stories of Ísafjörður's history and culture. From December to January the people of Iceland share a festive attitude with a propensity for extensive celebrations. 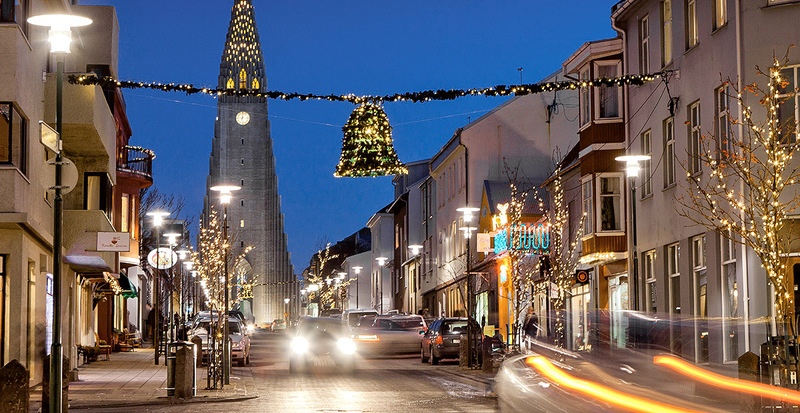 The festivities range from intimate family affairs to parties the entire town participates in, with dancing through the night and free-flowing Brennivín, the Icelandic schnapps that packs a caraway-flavored punch. Sample traditional, local cuisine during Þorrablót, a once-abolished offering to pagan gods resurrected in the 19th century as a mid-winter festival that coincides with the old Icelandic calendar's month of Thorri. Or, if your tastes prefer a feast for the eyes, enjoy the extensively and beautifully decorated towns and houses that brighten up the darker winter days and nights. Contact us today to discover the great value and additional reasons why Iceland is ideal for your winter vacation!